The trail starts right from the parking lot in front of the western gate of the monastery. At the beginning there is a couple of information boards about the national park and Rila Monastery Nature Park. The trail goes near the grave of James Boucher, an Irish journalist who supported the Bulgarians in their efforts to form a new country after the liberation from the Ottoman Empire. The trail goes nearly flat than straight up and along the Baucher Ridge, also known as the Black Ridge. After reaching the Pazardere Valley you need to turn left (west) towards Ivan Vazov Hut. The ascent is fairly long on that day and there is only one water source on the way. 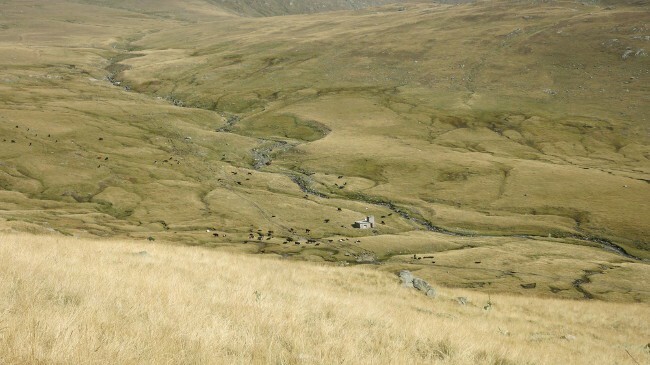 The water above the shepherds camp – appx. 4,5 hours after the start – may not be running in late summer. The fountain is also used by the sheep herds and looks polluted, so best is to carry with you enough supply from the monastery. Accommodation at Ivan Vazov Hut – food and drinks are available, no shower and hot water, dorms. You’ve got two options at the start – to go back the same way until you reach the fork signposted with the stone board marking the trails towards Malyovitsa and Rila Monastery, where you turn left. Or to prolong the route with an hour – to follow the trail that goes up along Pazardere Valley towards Razdela Pass, where you turn right and traverse Mount Ivan Vazov, than continue following the main ridge. The route along the ridge traverses Mount Dodov and Mermerite and finally goes up to Mount Malyovitsa (2729 m). More info about the area of Malyovitsa here. The descent on the other side is tiring for people who do not enjoy walking over boulders and steeper trail sections. 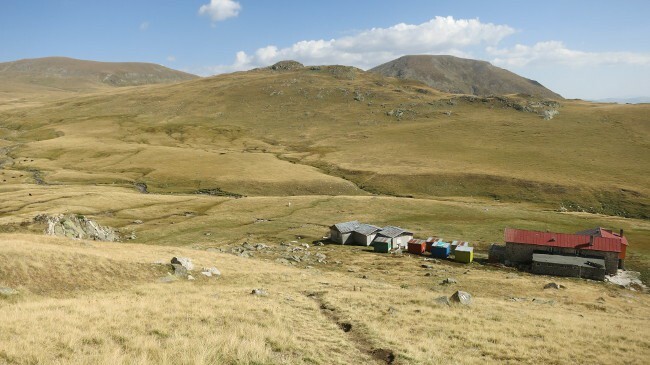 Overnight at Malyovitsa Hut – dormitories, hot water and shower available, food and drinks available. It takes one hour to descent from Malyovitsa Hut to the parking lot of Malyovitsa – an area locally known with the abreviation CPSH (ЦПШ) Malyovitsa. Thats the end of the asphalt, there is also a few hotels and small restaurants available. There is a shuttle from here to the town of Samokov twice a day: at 09.00 and at 17.00. 30 minutes, 7 BGN one way ticket. From the town of Samokov there is regular buses towards Sofia (see the Intro). 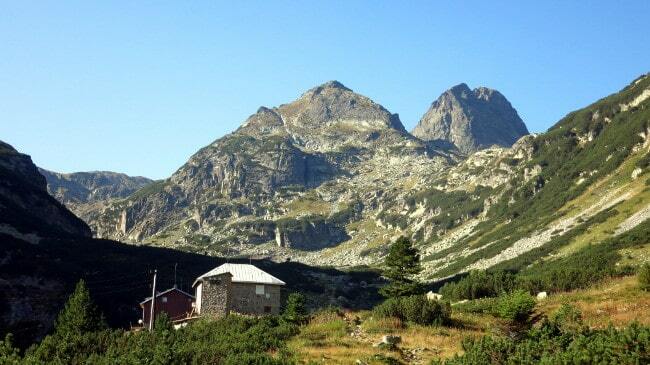 Hi- thanks so much for this blog and information on trekking in Bulgaria. I am interested in Rila traverse as a solo female trekkers. I am thinking of doing this last week of August (aug 25 to sept 2). Would it be easy to get a space at the huts during that time without booking ahead? Is it pretty straightforward to find the route/trail for this trek? I assume this is a safe place for trekking as well for solo travelers? Aside from snacks, would I need to bring food at all or is it possible to just buy all the food at the huts? Hi, usually its not a problem to get a bed even without pre-booking if you are a single individual, in worst case you may need to spend the night on a bench or something. If you definitely want to avoid this you may at least contact the huts where you’ll stay on Friday or Saturday night, as these are the busiest days. All the huts offer some simple food menu and snacks, so you don’t need to carry so much. The route is generally straight forward and there is no any particular risks except the common ones in the mountains – possible bad weather, storms, etc. Nevertheless people get lost in these mountains from time to time, even in summer. Navigation skills and good equipment are essential, also insurance and mobile phone.